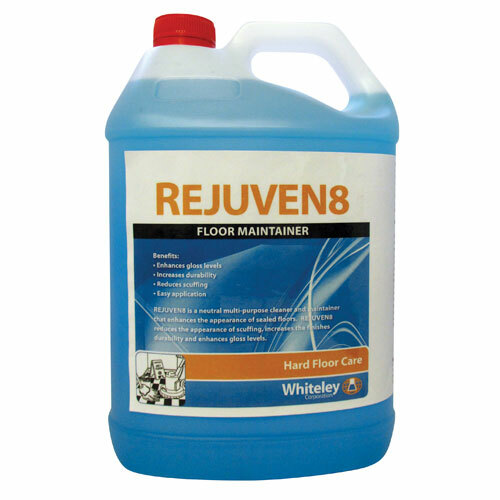 Rejuven8 is a neutral multi-purpose cleaner & maintainer created to enhance the appearance of worn floor finishes. It increases the durability of floor finishes and enhances gloss levels. It effectively repairs scratches and reduces the appearance of scuffing – black heels marks, grounded in dirt and surface scratches. Available in 5 litres.